No one should be awake at 1am in the morning unless they’re a) deep in (boozy) conversation solving the problems of the world, b) scouring the fridge for a midnight snack or c) witnessing a natural miracle at Mon Repos Turtle Centre near Bundaberg Queensland. TURTLES! 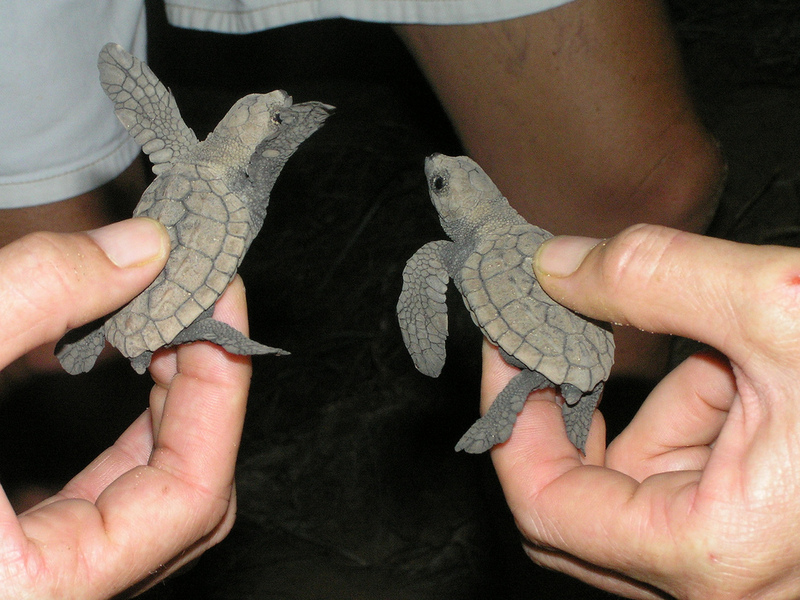 Cute baby turtles yayaya!! It’s the wee hours of Saturday morning and I’m observing something pretty amazing at Mon Repos Turtle Centre in Bargara. A giant loggerhead turtle presses its olive-grey shell firmly into the sand while laying hundreds of tiny white eggs into a burrow she has meticulously dug with her flippers. This is all in a days (or should I say evenings) work at Mon Repos Turtle Centre, one of Australia’s only conservation parks for turtles. 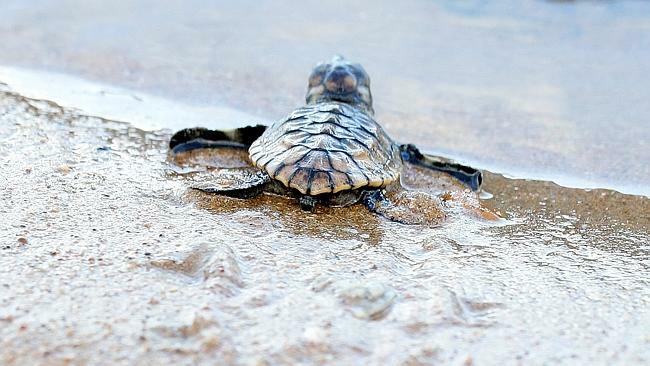 And considering only one in a thousand baby turtles live past their first couple of days, supporting these conservation parks means you’ll get to experience something rare and unique as well as doing your bit for the environment too. Where: Mon Repos Conservation Park is located at 141 Mon Repos Rd, Bargara, a 5.5 hours drive from Brisbane QLD and 20 mins east of Bundaberg. Stay: Bargara Beach Holiday Park is a relaxed way to experience the local township of Bundaberg. The staff are fantastic and friendly and the basic but cute air-conditioned cabins set along the beach offer a comfortable respite after a long night of turtle-watching. FYI – the odd turtles hatch on this beach also! If Mon Repos wasn’t enough, take a torch and go turtle-hunting around the park. Bring a pillow and blanket for the waiting time as you may want to have a nap. Bring food and water (only a food van on site), head torch and insect repellant. Taking a spray jacket won’t hurt either as it gets windy on the beach. Try to go during the week as there will be less crowds and therefore less time waiting around for a tour. As the nightly capacity is 300, you may be split into groups if the nights are busy (and they usually are, especially on weekends and school holidays).